The Smart Cities New York is North America’s leading global conference on Smart Cities and explores the intersection of technology and urban life while bringing together businesses and institutions to discuss the pioneering urban solutions that are defining and transforming cities around the world. 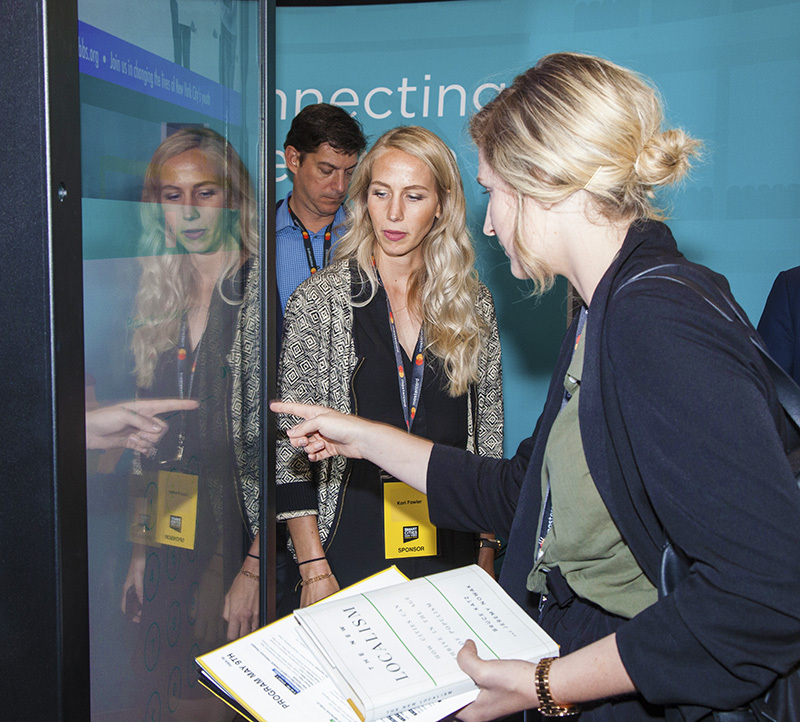 SCNY18 focused specifically on the power of cities and the importance of citizen participation in making cities ‘smart.’ SCNY18: Powered by People covered a broad range of important topics including AI, cybersecurity, cloud computing, autonomous vehicles, technology for the disabled, drones, rooftop urban agriculture, shared housing, transportation, renewable energy and infrastructure. 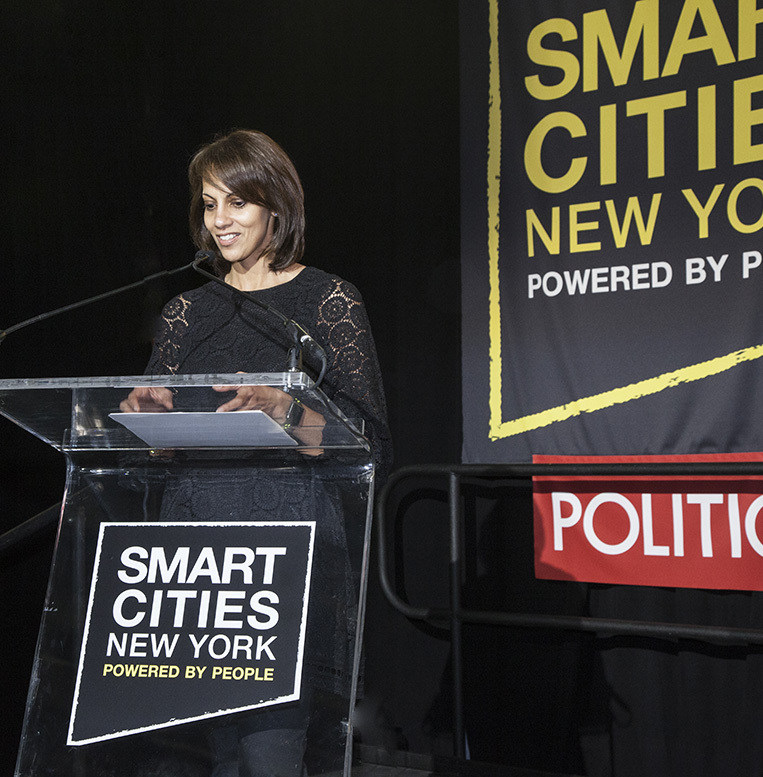 For this year’s second edition, Smart Cities New York hosted over 200 speakers, 32 panels, 30 workshops, 12 keynotes, 16 Lightning Rounds, 6 tours and numerous networking events and receptions throughout New York City. SCNY18 also welcomed Mayors from around the world. 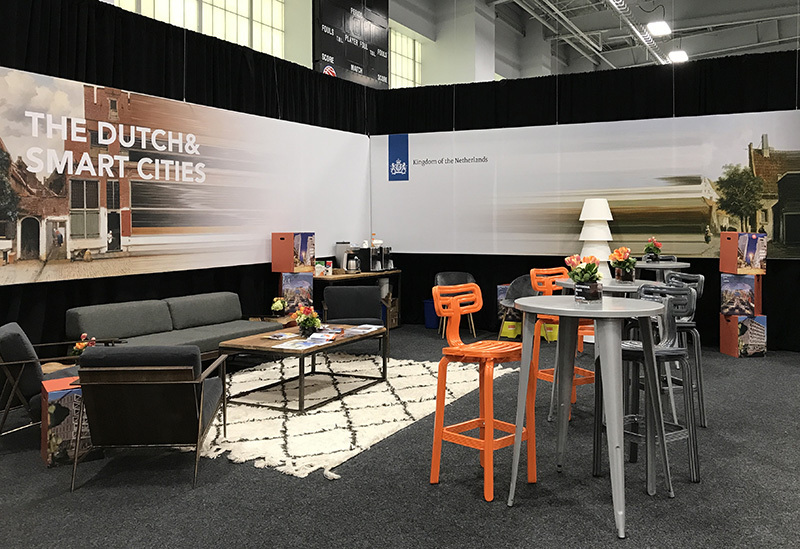 This year’s event was opened by New York Cities’ very own Mayor Bill de Blasio and Chicago Mayor, Rahm Emanuel, who discussed everything from intelligent streetlights to smarter education with author Bruce Katz. Other participants included the Mayors of Atlanta, Denver, Vancouver, Rotterdam, Director of the UN Sustainable Development Solutions Network Jeffrey Sachs and Gudni Johannesson, President of the Republic of Iceland. The multi-day event also featured a cutting edge exposition, workshops, panels, parties, and a multitude of public events drawing attendees from around the world. 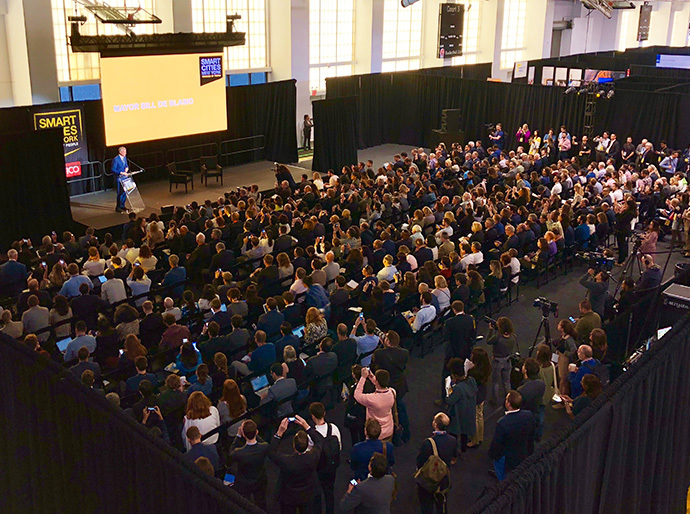 An actioned-packed day of workshops, meet ups and discussions was held on May 8 at the Brooklyn Navy Yard and NYU Tandon. 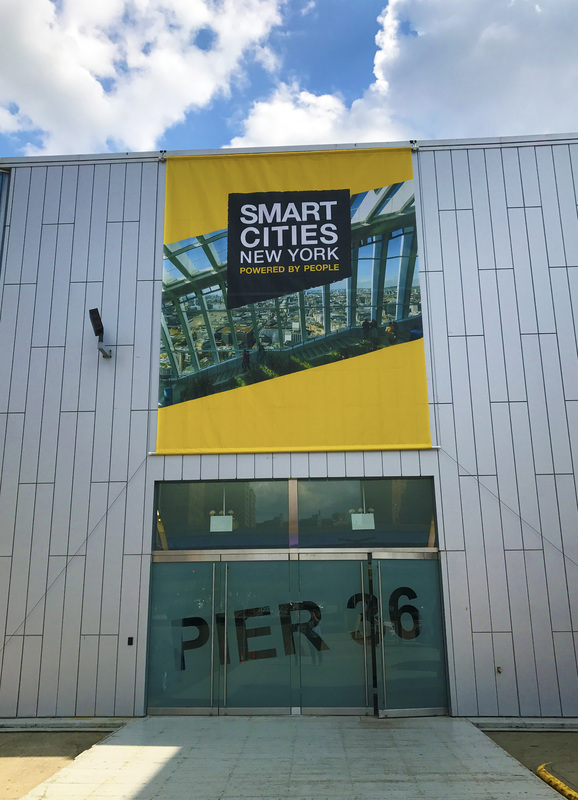 With more than 600 attendees, the Smart Cities New York workshop day featured outstanding sessions from The Nordics, The Consulate Kingdom of the Netherlands, C40 Cities Climate Leadership Group, NYC Mayor's Office of the Chief Technology Officer, Civ:Lab, Oracle and others. 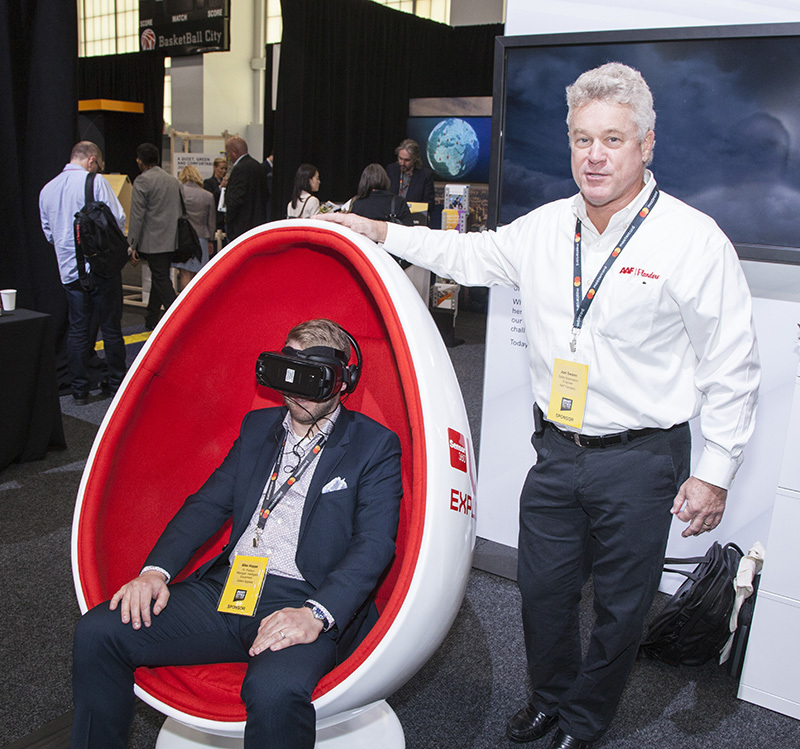 On May 9 & 10 the main events at Pier 36 featured four keynote and panel discussion stages running non-stop. Some of the highlights included A CONVERSATION WITH GLOBAL MAYORS ON RESILIENCE with Gregor Robertson, Mayor, City of Vancouver, Ahmed Aboutaleb, Mayor, City of Rotterdam, Keisha Lance-Bottoms, Mayor, City of Atlanta, Michael Berkowitz, President, 100 Resilient Cities Pioneered by The Rockefeller Foundation. 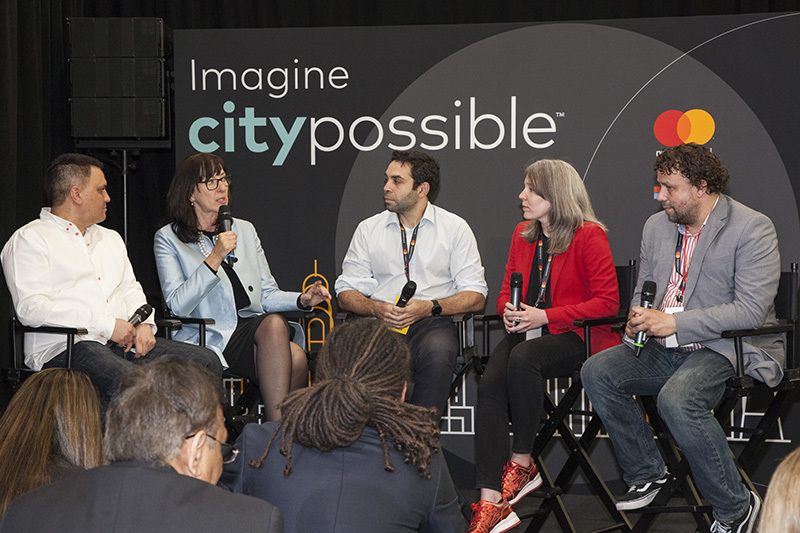 CITY POSSIBLE: A NEW MODEL FOR URBAN DEVELOPMENT with Hany Fam, EVP Enterprise Partnerships, Mastercard. 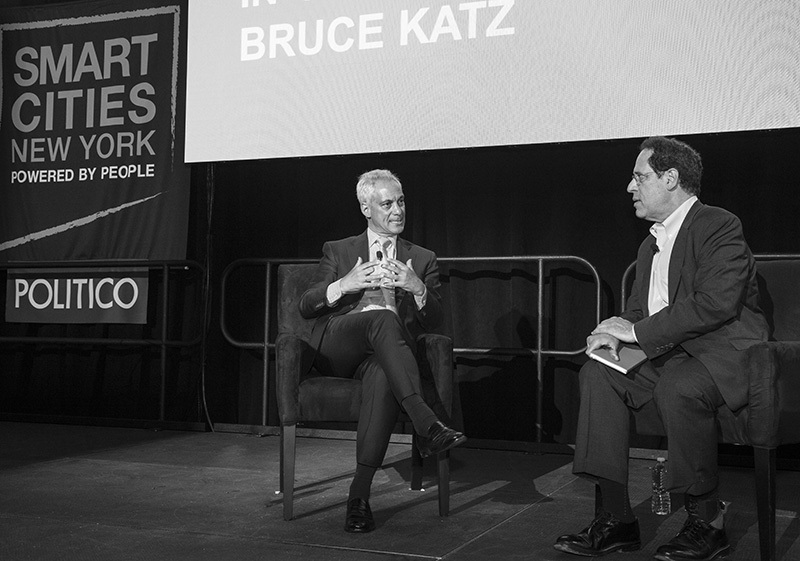 MAYOR RAHM EMANUEL IN CONVERSATION WITH BRUCE KATZ, Co-Founder, New Localism Advisors. IN CONVERSATION WITH PRESIDENT GUDNI TH. JÓHANNESSON, President, Republic of Iceland and Ann Davlin, Origination Manager, True Green Capital Management. Jeffrey Sachs and Mayor Steve Benjamin, presented a highly anticipated conversation on the Future of Cities. Simultaneously, an exhibit hall and Business to Business trade show took place which included interactive demonstrations and participation from sponsors ranging from Mastercard, Verizon, Panasonic, Hitachi, Diakin, Shimiz Corporation (TEAM JAPAN), Microsoft, Citi, Esri, Engie, AECom, Urban X, The Consulate General of the Kingdom of the Netherlands, The Consulate General of Norway, and the Consulate General of Sweden among many others. 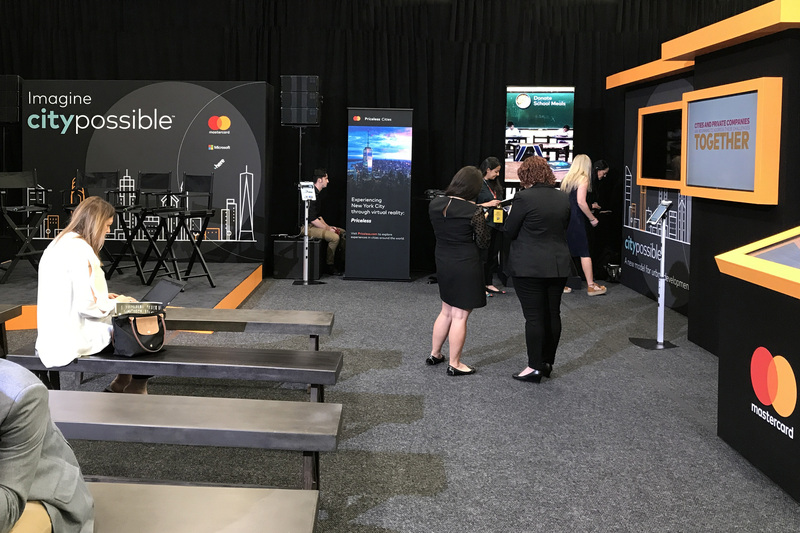 At the expo, lead sponsor Mastercard showcased its Cities Possible program with consumer insights and real-time digital content and interact with its Priceless station and VR experience in the world around them. Other partners included Politico, LYFT, NYC & Co., The Brooklyn Navy Yard, Citibike, NewLab and Newsy among many others. Empire served as overall producer and production company of Smart Cities New York and was responsible for project management, production design, technical production, staging, production of digital media content (with reelworks.org), liaison with all exhibiting sponsors, staffing, catering and café area and the Brella Networking Area. Additionally, Empire’s team worked closely with Global Futures Group, Emergence Creative, Mastercard, Hitachi, Diakin, Panasonic, Shimizu Corporation, Verizon, Citi and other partners, including many international groups and Consulate Generals to facilitate each partner’s activation and to supervise the overall guest experience. 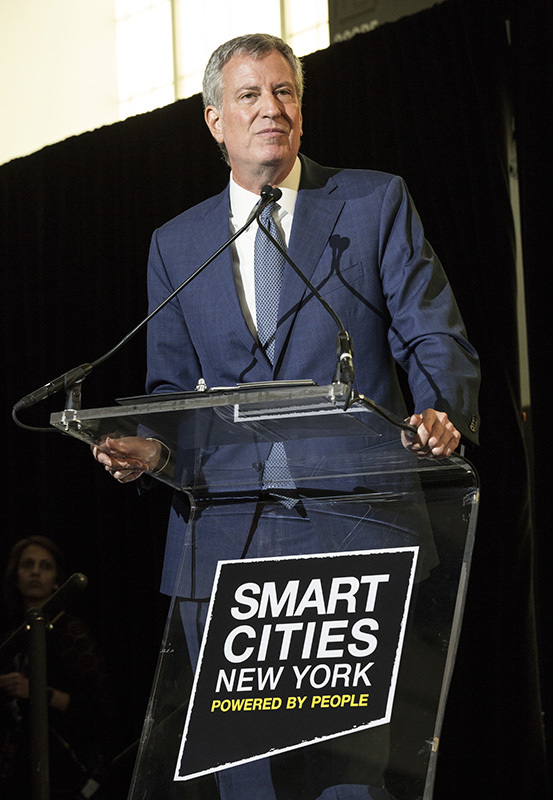 Empire is proud to have once again served as producer of Smart Cities New York and to have supported this important thought leadership platform. 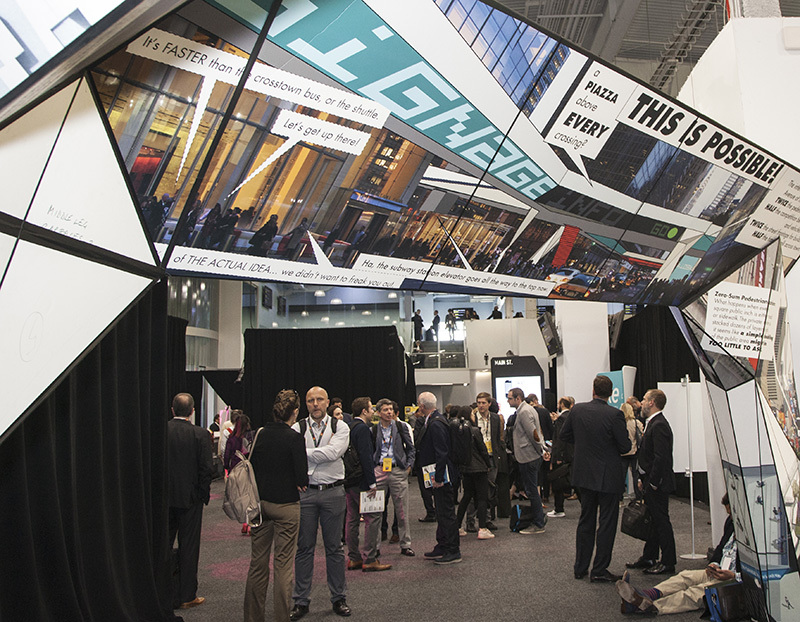 Smart Cities New York is Presented by the Global Futures Group, Emergence Creative and Smart World Productions LLC.